Document Notes: Memo to FBI Director on WRA Director comments on findings of Insp. Gurneas inspection tour of Relocation Centers. Clearly, there is a tension between security and "being nice" to evacuees. 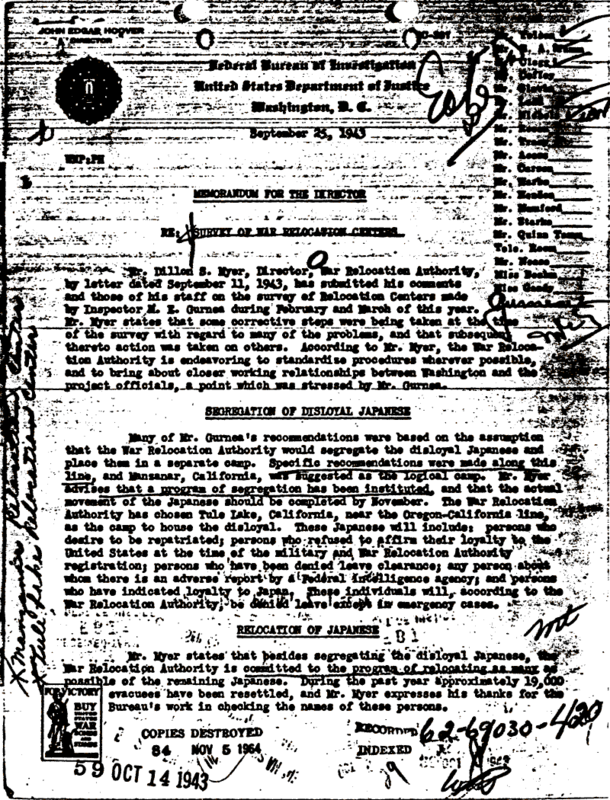 Note J.Edgar Hoover hand written notes on pages 2 & 5. He had a pretty low opinion of the WRA.